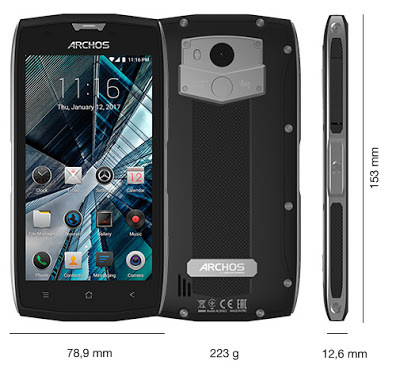 It wasn’t long ago that the we looked at the Archos Sense 47X, a rugged themed smartphone from Archos. What we however didn’t mention in the review was that Archos launched the Sense 47X alongside the Archose Sense 101X and Archos Sense 50X. The Archos Sense 101X is a first of its kind rugged tablet. You can check out the full review here. The third device that was unveiled at the IFA 2017 conference is the Achos Sense 50X. The device is more like the improved version of the Archos Sense 47X. Let’s see what was improved and what wasn’t. As the above image already spells out, the Archos Sense 50X is a big beast. The device outer body is made in a mix of Polycarbonate plastic and metal for maximum toughness. At the sides and rear, some metal screws that holds the device can be visibly seen. With the Archos Sense 50X, you can be sure of a device in perfect conditions whenever it hits the ground or goes against any other hard surfaces. The device has a 5.0 inch LCD screen with a high-resolution and pixel density (1080 x 1920 pixels and 441 ppi respectively). The display quality is awesome likewise the screen protection it enjoys; a Corning Gorilla Glass 3 protection against dust and shattering. 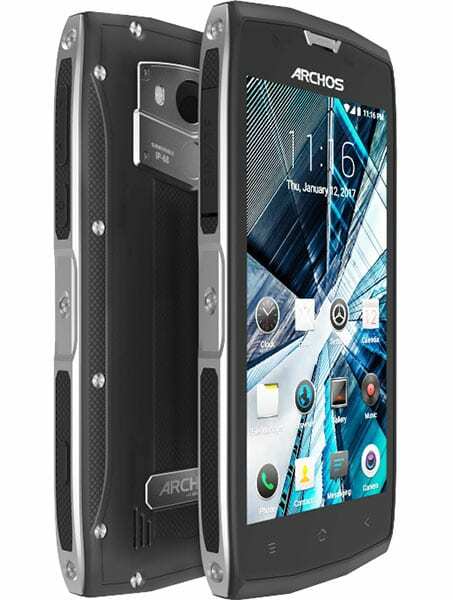 A 1.5 GHz Quad core MediaTek MTK6737 processor runs the overall operations of the rugged Archos Sense 50X. The device is based on the Android v7.0 Nougat operating system and packs a hige 3 GB of RAM and 32 GB internal memory. Therefore, it can safely said that the Archos Sense 47X which had 1GB RAM and 16 GB ROM is a toned down version of this device, the Sense 50X. The storage can be expanded to the 128GB region using an external micro SD card. To capture the best of images, an 8 megapixels camera is embedded at the back of the device and there’s also an accompanying LED flash. At the front, a 3 megapixels lens takes good and decent selfies for a rugged device. A 3,500 mAh Lithium Polymer battery which is not removable is aboard the Archos Sense 50X. The device also lacks the Quick charge feature so the battery may take longer time to charge up but one thing is for sure, it will definitely last long. As a matter of fact, a full day usage (24 hours) or more is guaranteed.